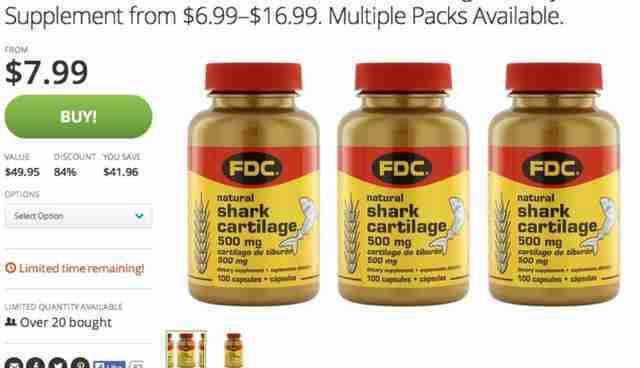 Shark advocates are taking aim at the deal-of-the-day website Groupon for selling shark products, by way of an online petition calling on the company to stop selling shark cartilage pills. 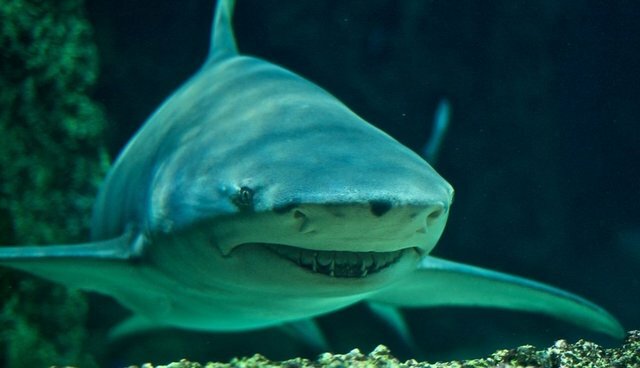 The petition author points out that Groupon's Hong Kong branch has already agreed not to sell shark products -- but Groupon USA still has them available online. With shark species under serious threat of extinction, losing the oceans apex predator will throw the ocean ecosystems into chaos and collapse. GROUPON is a global entity that states that it is environmentally responsible, yet it supports the slaughter of 100-200 million sharks a year by selling shark products on it websites. Shark cartilage is a dried and powdered dietary supplement used to cure a number of ailments. But scientists have shown that there is no evidence for health benefits from the product, and that its use is largely steeped in pseudoscience.